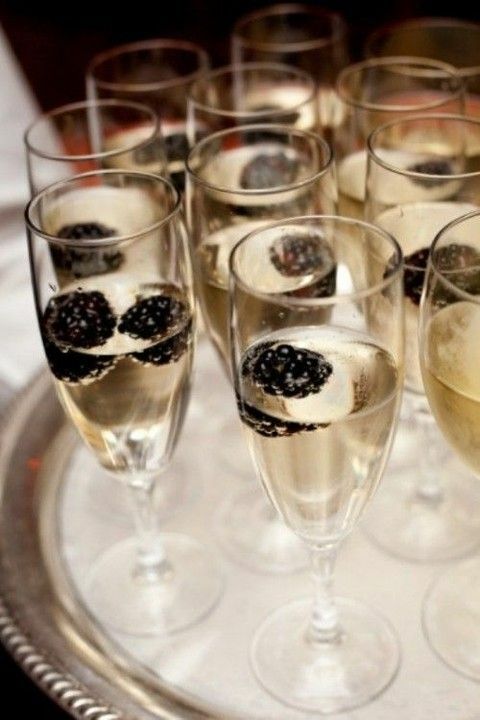 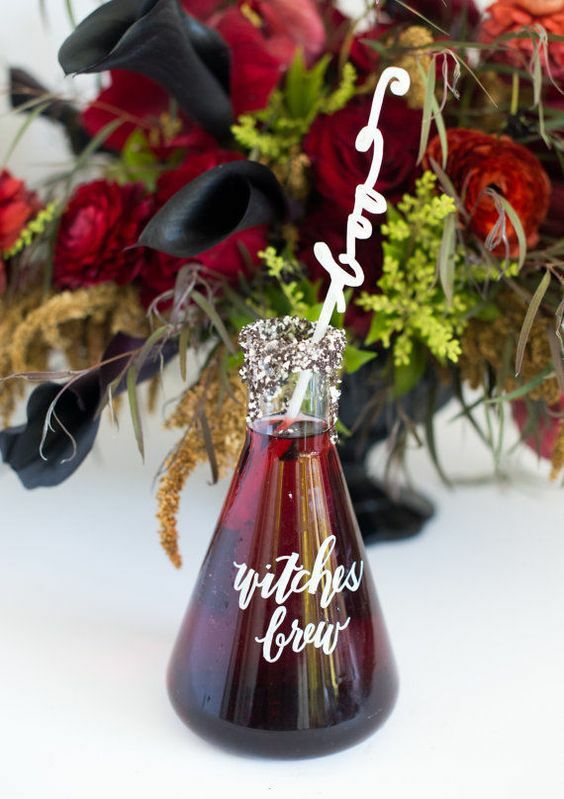 Halloween weddings are extremely special and Halloween bridal showers are no less special! 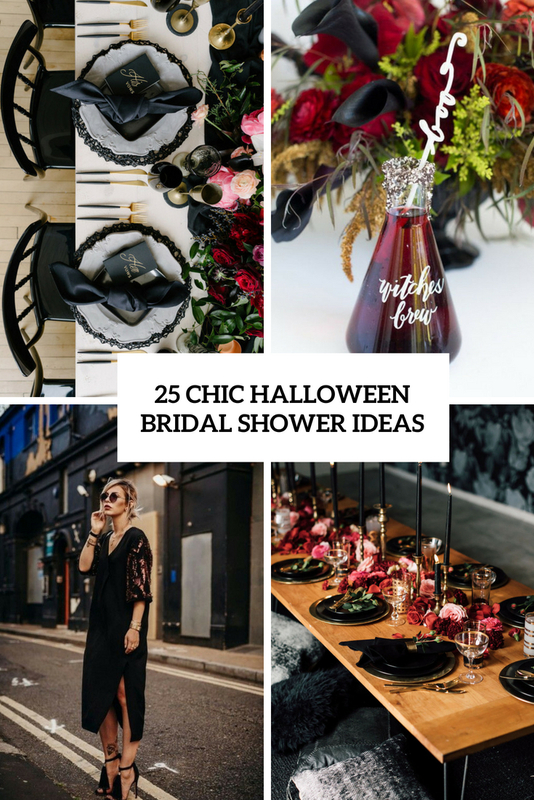 We’ve discussed Halloween weddings a lot and shared many ideas and today we’ll take a look at some ideas to pull off a Halloween bridal shower with style. 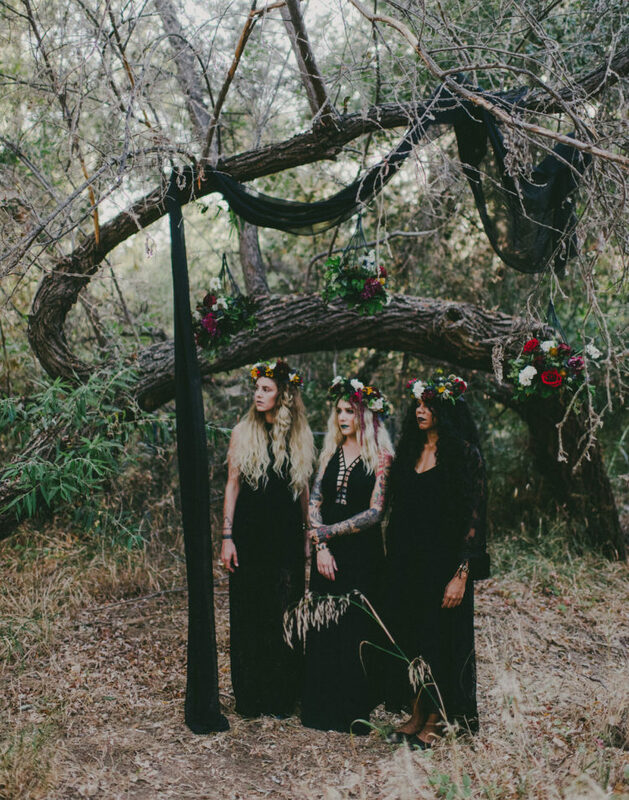 What to wear to a Halloween or Gothic bridal shower? 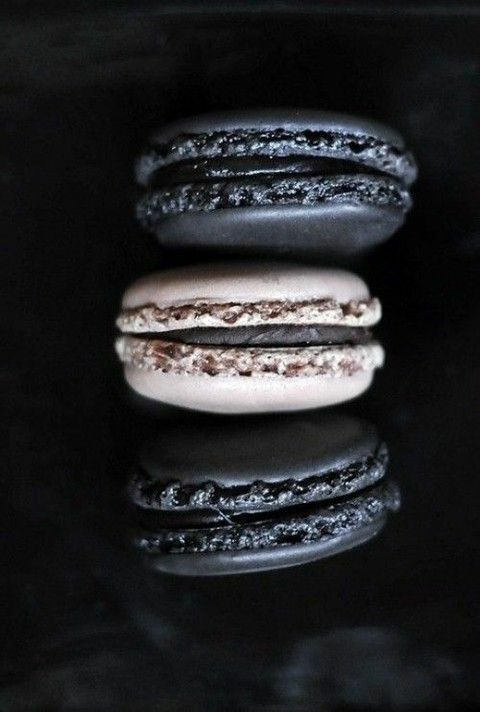 The answer is simple: black, of course! 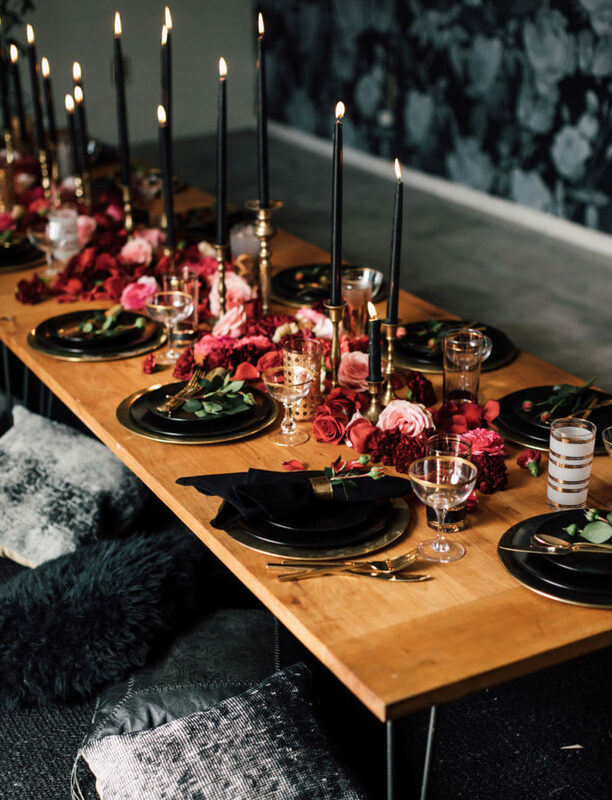 It can be a black velvet midi dress with a plunging neckline for a chic touch, a slip dress with black lace inserts to make a statement, a modern off the shoulder black midi dress plus tassel heels. 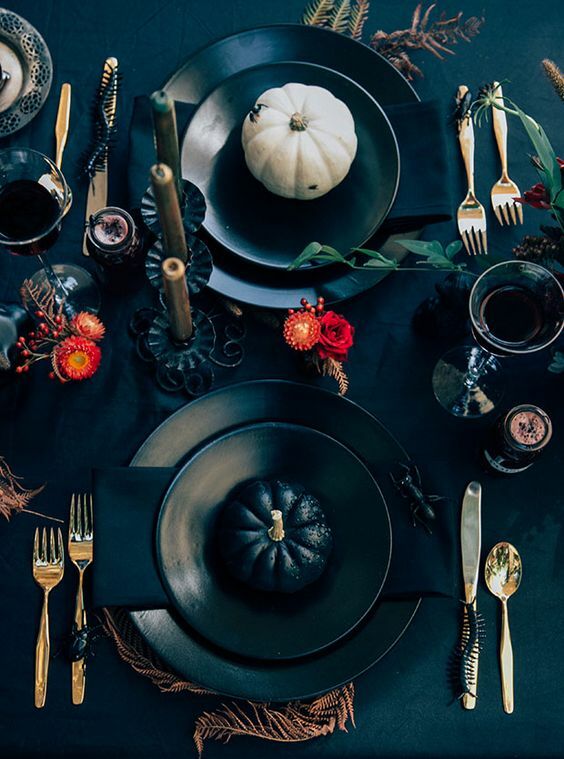 Everyone can wear black or you may try moody outfits – navy, deep purple, burgundy, dark green and others, it’s all up to you and what impression you wanna make. 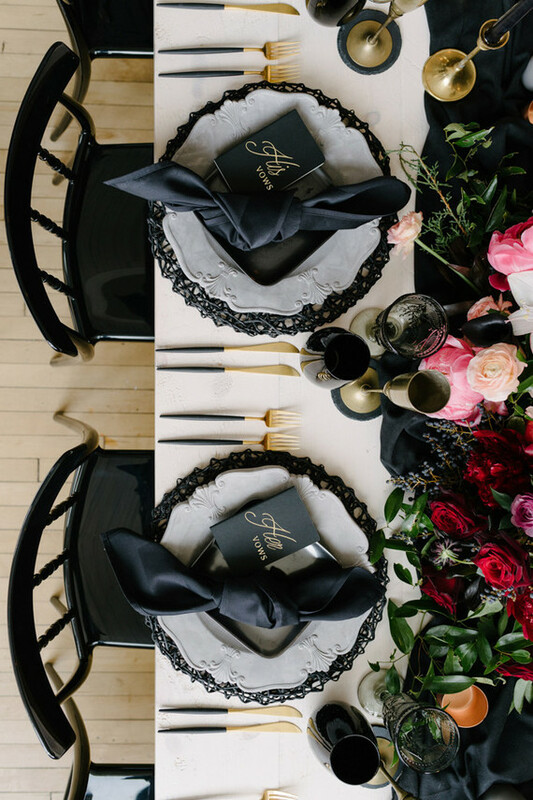 Keep in mind the style of your bridal shower to choose an outfit right. 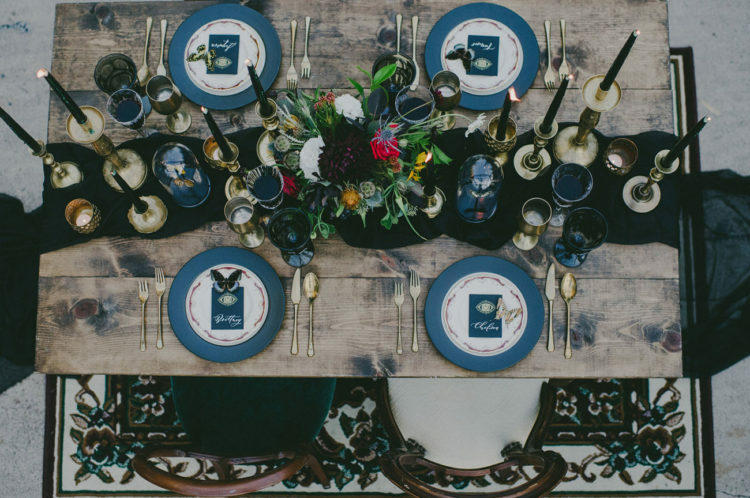 The main thing for a Halloween bridal shower is to style a chic tablescape. 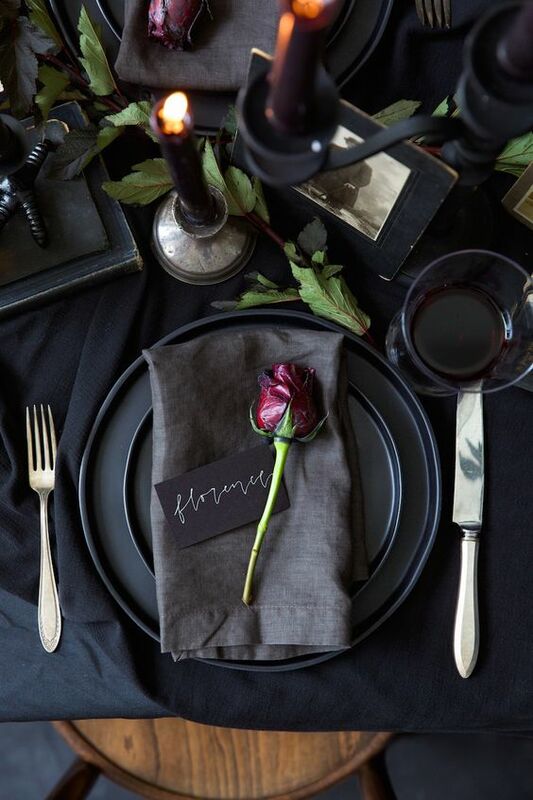 Think black and moody shades: deep purple, burgundy, deep red, dark green and blue and greys. 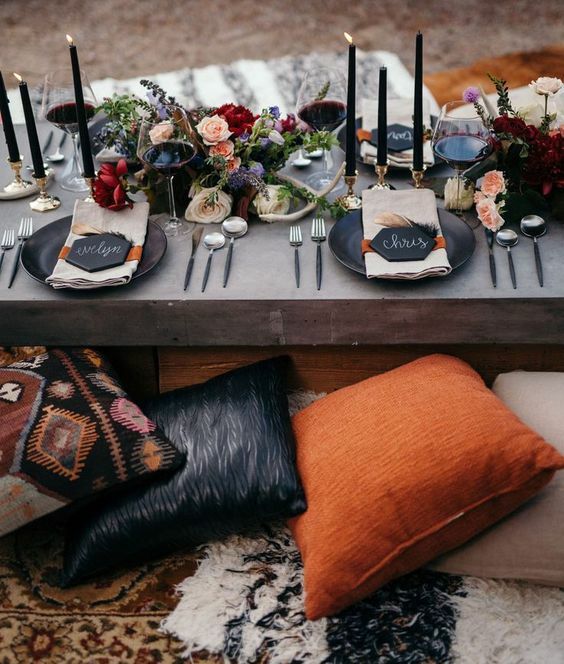 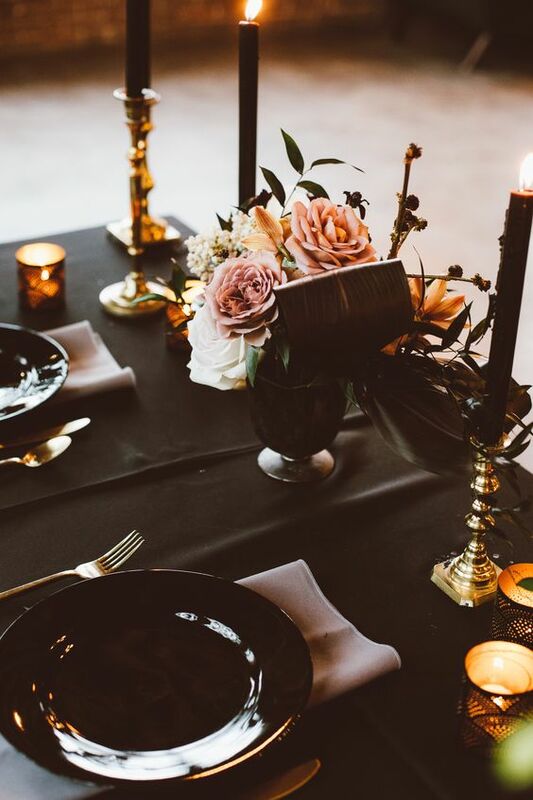 Go for black chargers and candles, black or colorful table runners to add a touch of color to the table setting. 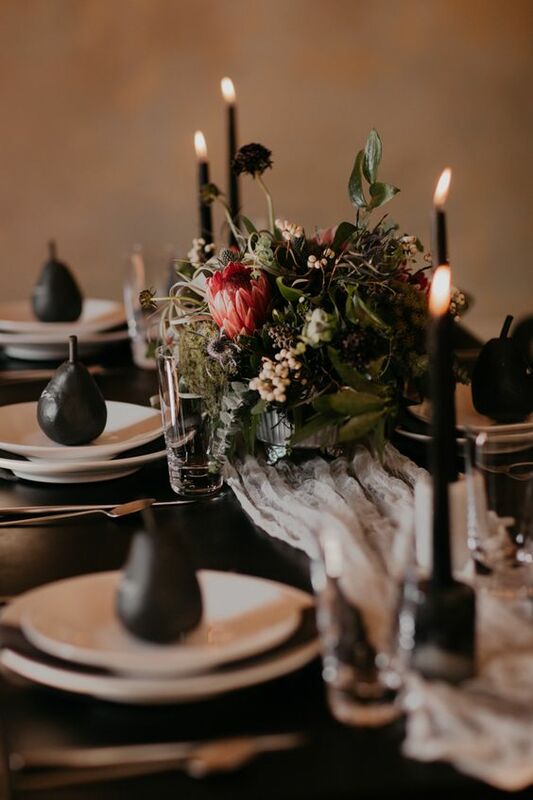 The table can be uncovered for a rough feel or covered with a black tablecloth, and then you’ll need to add a moody floral centerpiece with herbs and greenery. 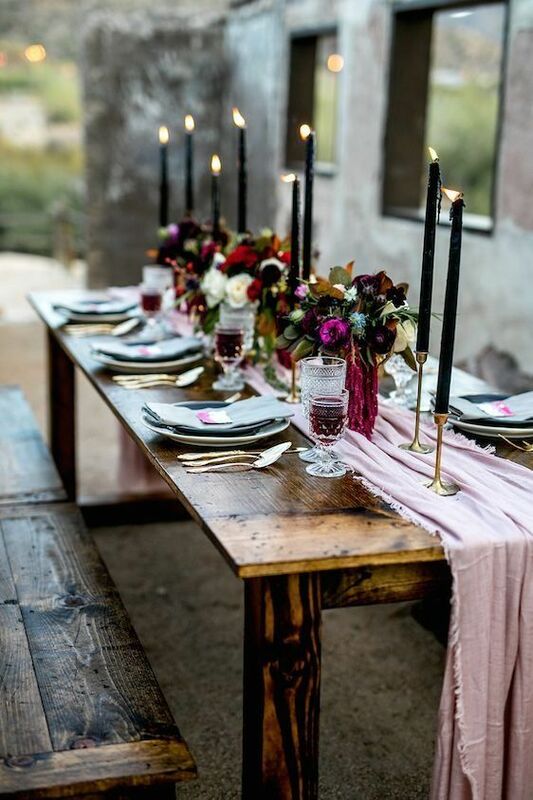 One more idea is to make a table runner of pink and red blooms and petals, which looks very decadent and elegant. 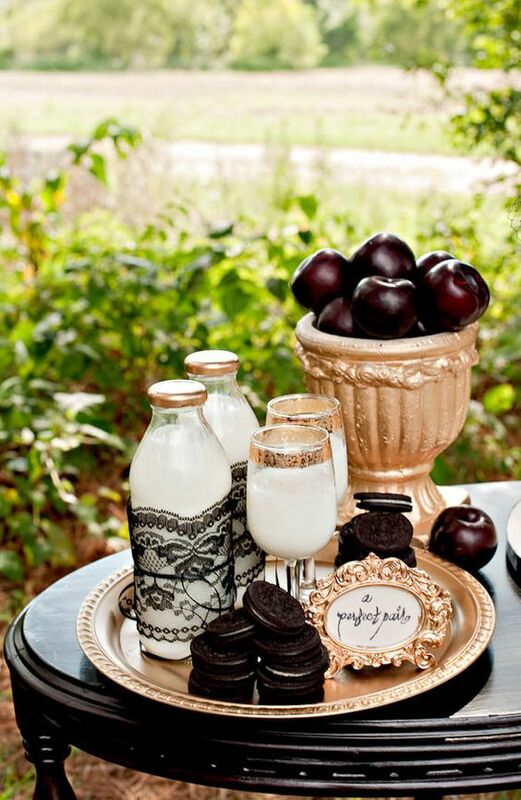 If you want a non-traditional look, try a white and creamy tablescape – that’s what no one expects! 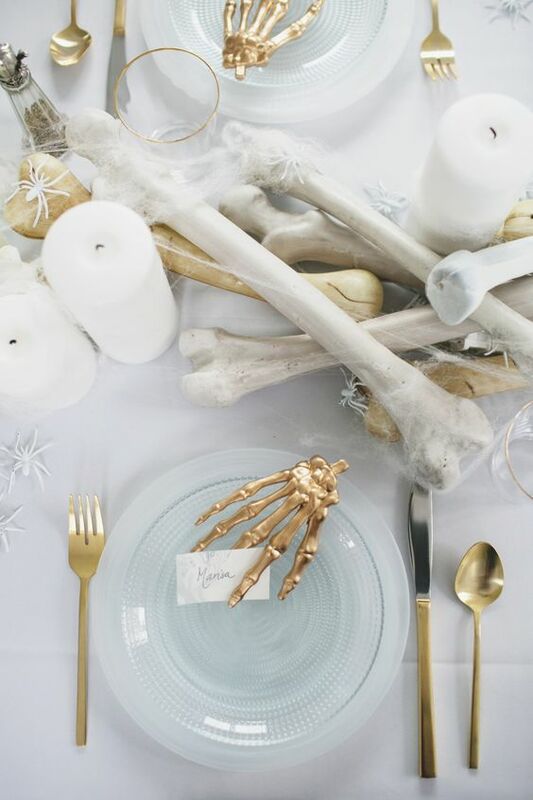 Add fake and edible bones and gilded skeleton hands for decor. 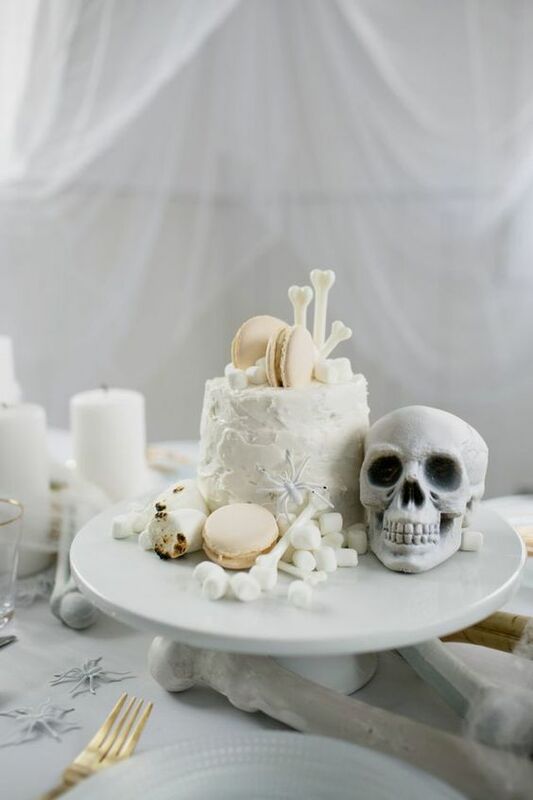 Food and drinks for any Halloween event should be special, so think of a cool bridal shower cake – in black, matte grey or a naked one with bloody drip. 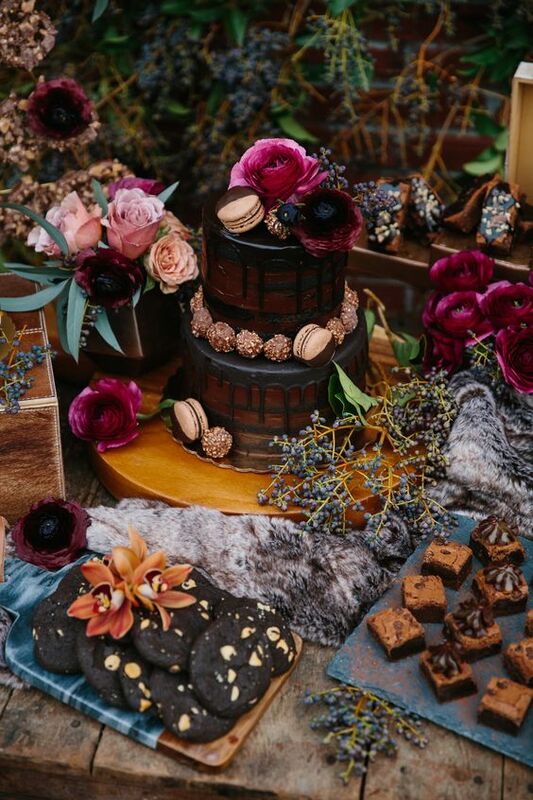 Create a decadent dessert table with luxurious and moody treats, deep red apples and delicious sweets. 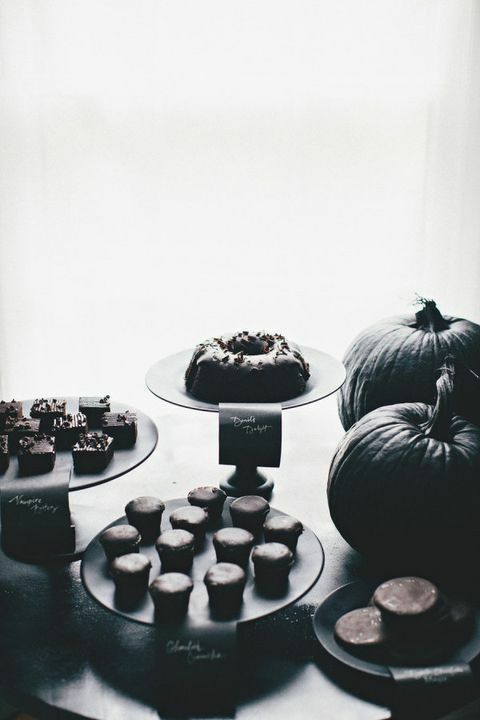 If you are going modern, try an all-black dessert table with black pumpkins and black cards with calligraphy. 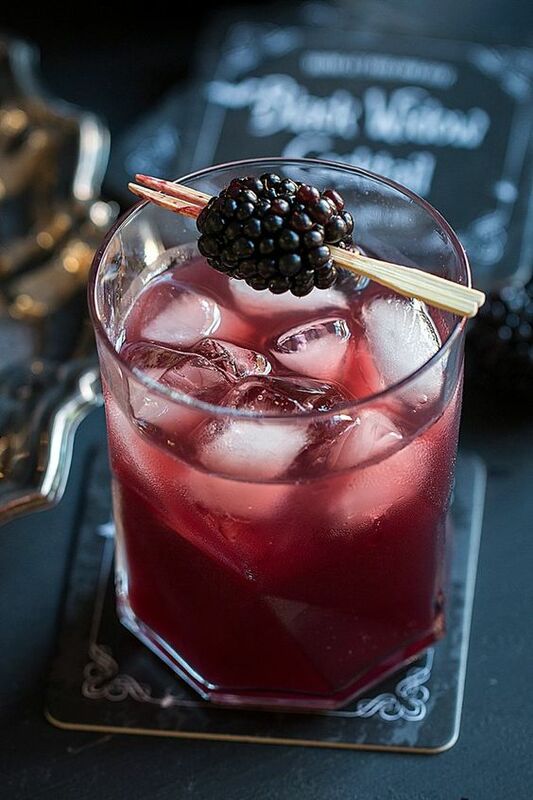 Drink should be unique, too! 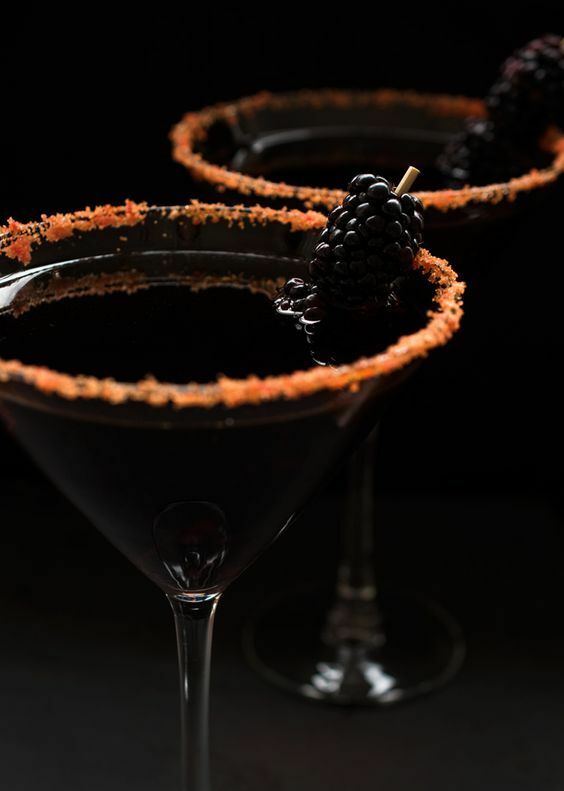 You may find a lot of cool recipes on the web and add a food coloring rim to the glasses.